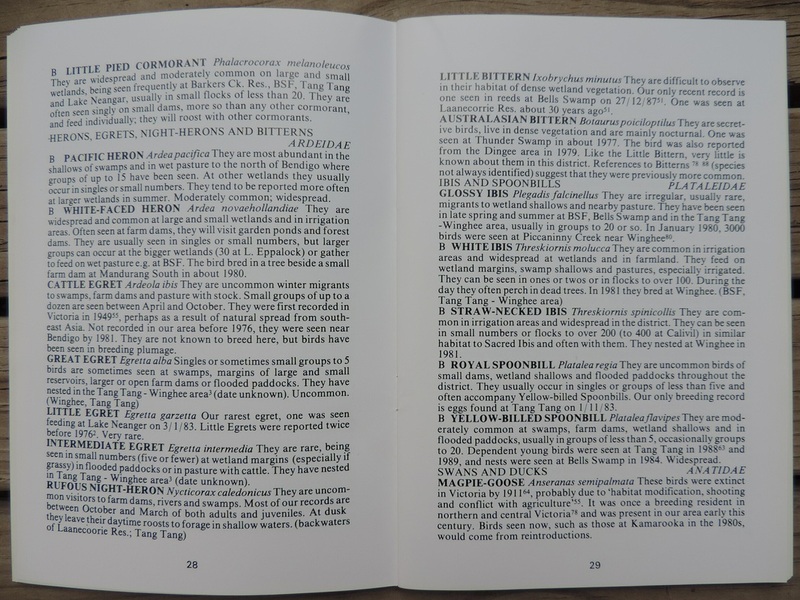 Publications page - Birds - Bendigo Field Naturalists Club Inc. 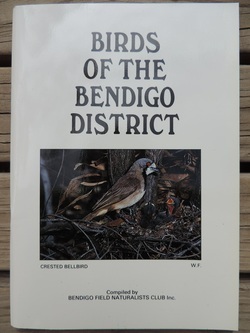 Compiled by Anne Bridley and others (1991) the "Birds of The Bendigo District" contains extensive field notes about local bird species recorded in the central Victorian region. Includes twelve colour photographs. This book is not a field guide to bird identification. 83 pages.